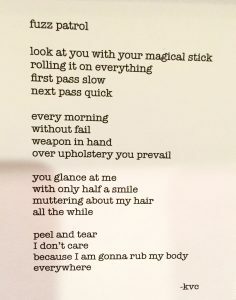 For all of you in Southern Oregon (or visiting! 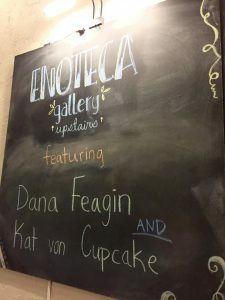 ), be sure to stop by the wine tasting room Enoteca this month to see the wonderful collaboration of artists Dana Feagin and Kat von Cupcake. 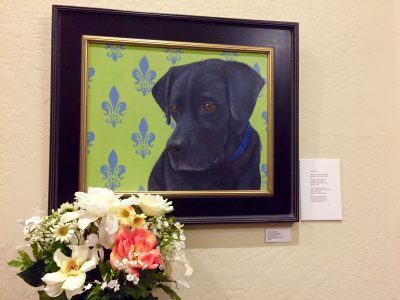 This exhibit, “Animal Ruminations: A Collaboration in Poetry and Paint,” a show of Dana’a paintings paired with Kat’s poetry, will be at Enoteca until November 30. The opening reception will be on First Friday, November 4, from 5 to 8 p.m, featuring music, wine, and appetizers. 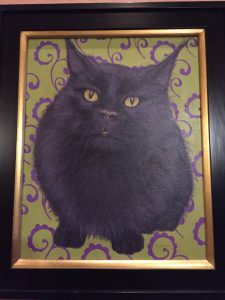 Original art, cards, and prints of Dana’s fantastic animal paintings and Kat’s delicious baked goodies will be available for purchase during the reception. This two-month show is a fundaiser for Sanctuary One. All proceeds benefit the Sanctuary. 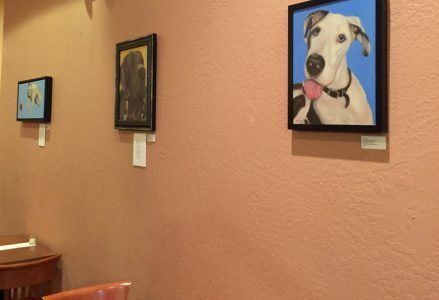 Here is a glimpse of the art/poetry pairings you’ll find … and when you visit you’ll see (and read about) animals from cats and dogs to pigs, ducks, and roosters. Enoteca is located in the Plaza in downtown Ashland; click here for hours and other details.